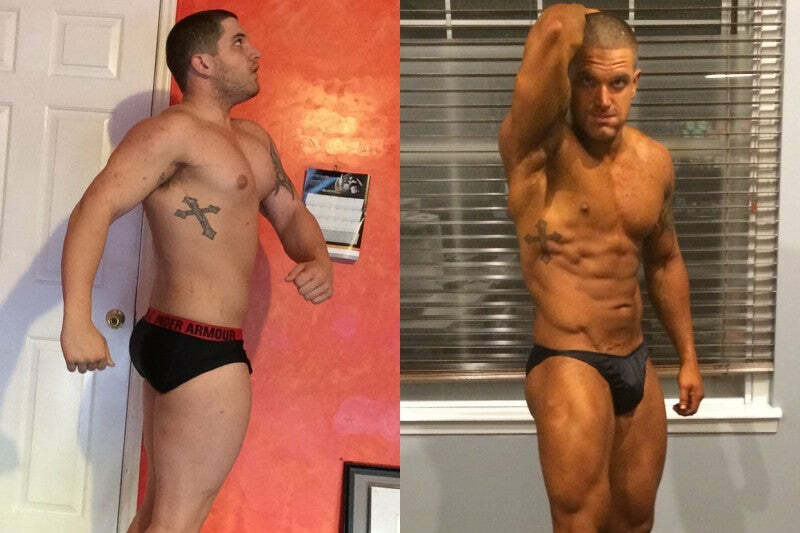 Transformation: Cody Barta Sheds 40 and Gets Cut! What Was Your Life Like Before Your Transformation? My life before my transformation was hard, a lot of drinking, partying, and lack of sleep. I hit the gym regularly but diet was always a constant struggle for me. I remember very clearly waking up one morning after a night of being out. Looking at myself in the mirror disgusted by what I did to my body, I didn't want to feel this way EVER again so at that moment I dropped alcohol cold turkey. I set a goal for myself in April of 2014. I wanted to compete in my first bodybuilding show in my hometown of Houston, Texas in March of 2015. My mind was set. I didn't talk to a lot of people about it because it was MY goal. That's where my turning point was. What Were Your Major Struggles or Challenges? As many of you have experienced, the lack of support from people that were your "friends" but in reality they were your "drinking buddies." The constant judgment of not going out, bringing my food to restaurants and living a healthy lifestyle. I let that bother me for a while until one day I told myself to forget all that and go after what YOU want. Cardio: 30 minutes fasted 5x a week, 25 minutes before bed every day. 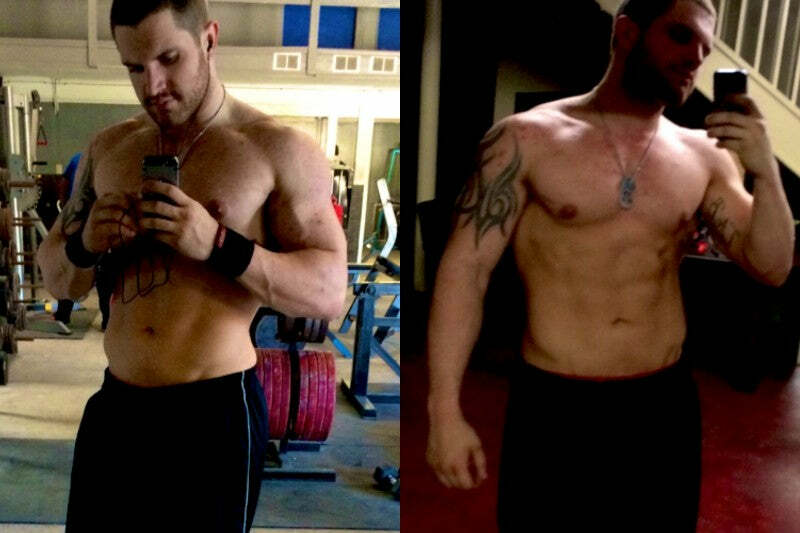 I had a few different styles of diet through my whole transformation. From the usual 7 meals a day, Carb cycling and keto style diet. My diet at the start was a lot of chicken, egg whites, beef and turkey about 8 oz per meal with a cup and a half of oats, rice or potatoes. Through the last I would say 5 weeks it was a lot of white fish and veggies 7x a day with one day per week of fish and jasmine rice. The usual bro science bodybuilder program. What Was Your Major Accomplishment, or Major Milestones? My major accomplishment was really just getting in that stage. No matter what went wrong, I stuck it out and did what I set out to do and that was to compete. I made a goal and let nothing get in my way of that goal. Also just becoming a healthier person, having energy to play with my son and hearing him scream my name at my show was the best feeling in the world. I don't believe in mistakes. Honestly, I feel like everything happens for a reason, if anything something that could be a "mistake" is really just a lesson. 3 Biggest Things You Learned During Your Transformation? You set your mind to something you can do anything. Put effort into the people that support you 100%. Final Words of Advice for Others Looking to Make a Change? You will have doubter, naysayers and jealous people come along in your journey, it's inevitable. One thing I can say is stay true to your self-use it as motivation and NO MATTER WHAT, do NOT let them derail you from your goals. I didn't just grow physically, I found who I was as a person through this transformation. It has shaped me into the person I am today. Take it one day, one set and one rep at a time. It's you vs. you. great job recognizing your struggles and who your friends really are.